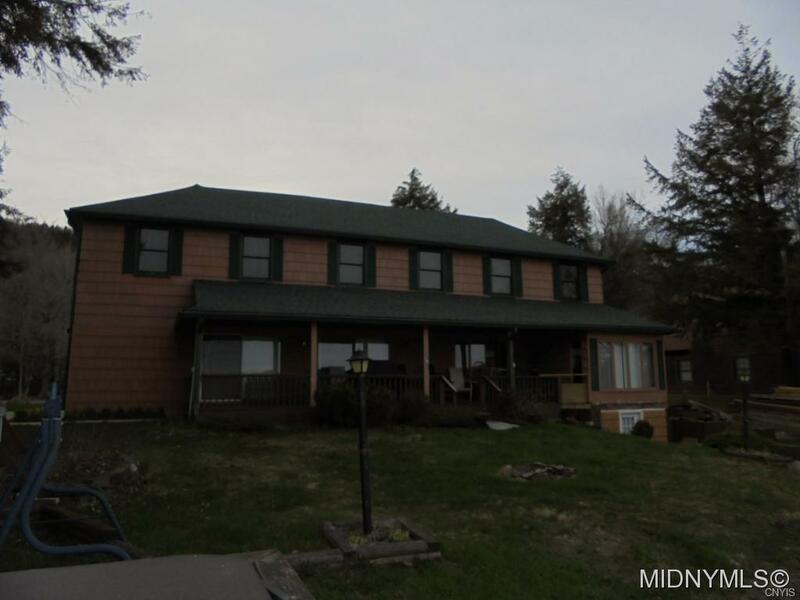 Featured Listing: MLS# 1800817 | Benn Realty LLC -Since 1968, and now with offices in Old Forge and Remsen to serve you better. Former Mingo Lodge Hotel offers 9 beds, 6 baths, Stone Fireplace, 2 kitchens, incredible amounts of infrastructure work and a brand new 30' x 40' pole barn. Water front is a sand beach with large dock. View is as long as you can get on 4th Lake from 3 vantage points! Bring the whole family for a wonderful 4 season retreat.